Aquawelt Plus is a washing vacuum with a modern design and many useful features. 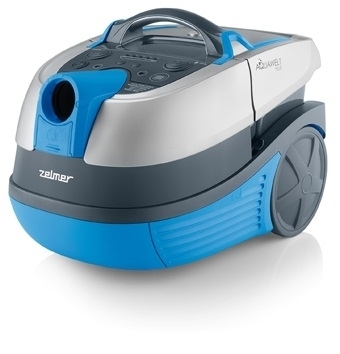 It allows dry vacuuming, picking up liquids and mud and washing carpets. It works with Safbag bags module or with water conteiner in bagless mode. Models with digital control are equipped new engine with 1700W power. Cleanness of exhaust air is provided by dual filtration system - water filter and HEPA filter. The vacuum cleaner has a large set of accessories: 7-9 nozzles, telescopic tube and durable Flexi hose.